by the folks at ITI Marketing, Inc.
Click to subscribe to the monthly Blog Digest. List your blog on the Internet's biggest and best Marketing Blog. The Marketing Blog is the premier source for the finding and posting marketing related blogs. Join for FREE! The announcement of the Apple iPad ushered in a new wave of mobile technology unlike anything we’ve seen in a long time, and with it came unrivaled potential for mobile marketers and advertisers to explore new possibilities. Apple has taken the same initiatives with the iPad- bringing the simplistic approach of the iPhone, combined with the processing power of larger laptop computers, to create a device that would appeal to just about anyone. The iPad, and tablet devices in general, are an entirely new segment of mobile technology, and with it comes endless opportunities for brands to engage users in brand new ways. The iPhone opened new possibilities in the areas of mobile advertising, branded mobile apps, in-app advertising and content distribution in general. Adding iTunes-based payments to the mix created the vibrant ecosystem we see today, and that success will parlay into the iPad as well- with a larger screen to engage users further. The large screen provided by the tablet allows for the display of much richer media. It can display hi-res videos and other content that’s always been cumbersome for users on smaller screens- this aspect is one of few hurdles mobile marketers and advertisers needed to overcome to make their content standout and bring the best of both worlds: the relevancy and location aspects of mobile devices, with the large-screen vibrancy of desktop and notebook computers. Video will be a huge asset to marketers on the iPad- the iPhone opened up the possibility of truly “watchable” video on mobile devices, and the iTunes store made access easier than ever. 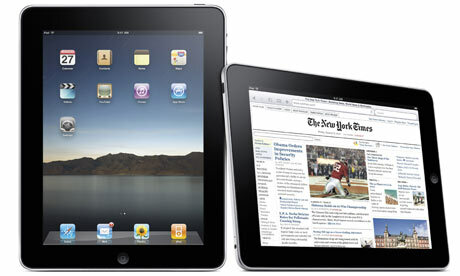 With the iPad, that concept is taken to yet another level, and marketers will put it to good use. Brain Solis is a principal at new media agency Future Works, and author of the upcoming book, Engage. You can connect with him on Twitter or Facebook. The debate over measuring social media investment inspired many brands to cannonball into popular social networks and join the proverbial conversation without a plan or strategic objectives defined. At the same time, the lack of ROI standards unnerved many executives, preventing any form of experimentation until their questions and concerns were addressed. In 2010, we’re entering a new era of social media marketing — one based on information, rationalization, and resolve. Business leaders simply need clarity in a time of abundant options and scarcity of experience. As many of us can attest, we report to executives who have no desire to measure intangible credos rooted in transparency and authenticity. In the end, they simply want to calculate the return on investment and associate social media programs with real-world business performance metrics. Over the years, our exploration and experience has redefined the traditional metrics and created hybrid models that will prove critical to modern business practices and help companies effectively compete for the future. Where the “I” in ROI represents investment, marketers have also explored ancillary elements to address the socialization of media, marketing, and the resulting dynamics of engagement. In 2010, social media endeavors are often still thought of as “pilot programs,” launched to steer a brand toward perceived relevance. Budgets, for the most part, are borrowed from other divisions to fund the largely experimental programs. Where that money goes and comes from depends largely on the social media champions who push for this experimentation from the inside. MarketingProfs recently published a study by Bazaarvoice and the CMO Club that revealed the true expectation of chief marketing officers. The bottom line: they want measurable results from social media. The outcome of the study is more in-depth in the original article. However, 2010 is the year that social media graduates from experimentation to strategic implementation, with direct ties to specific measurable performance indicators. Defining the “R” in ROI is where we need to focus, as it relates to our business goals and performance indicators specifically. Even though much of social media is free, we do know the cost of engagement as it relates to employees, time, equipment, and opportunity cost (what they’re not focusing on or accomplishing while engaging in social media). Tying those costs to the results will reveal a formula for assessing the “I” as investment. When we truly grasp the ability to define action and measure it, we can expand the impact of new media beyond the profit and loss. We can adapt business processes, inspire ingenuity, and more effectively compete for the future. Is Social Media a Fad? Or is it the biggest shift since the Industrial Revolution? The video is about changes in the society and Social Media facts and figures.